To use woof, simply invoke it on a single file, and the recipient can access your shared file via a web browser or using a command-line web-client such as cURL, HTTPie, wget or kurly (a curl alternative) from the terminal. One advantage of woof over other file sharing tools is that it shares files between a different operating system, or different devices (computers, smartphones, tablets etc. ), provided the recipient has a web browser installed. In this article, we will show how to install woof in Linux and use it to share files on a local network. On Debian and Ubuntu, you can easily install ‘woof‘ package from the distribution’s default repositories using apt or apt-get package manager as shown. 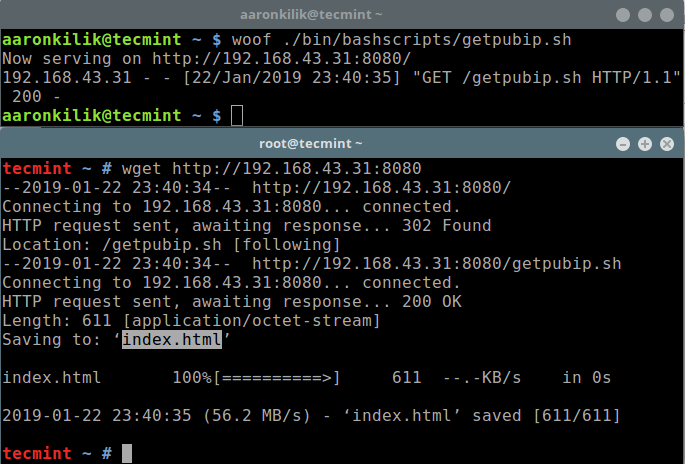 On other Linux distributions, you can download the woof script using wget command and move it to a /usr/bin directory as shown. To share a file, provide it as an argument as shown. Then woof will generate a URL (http://192.168.43.31:8080/ in this case) which your partner can use to access the file. Send the URL to the recipient. Once the recipient accesses the file, woof will shutdown (see the following screenshot). 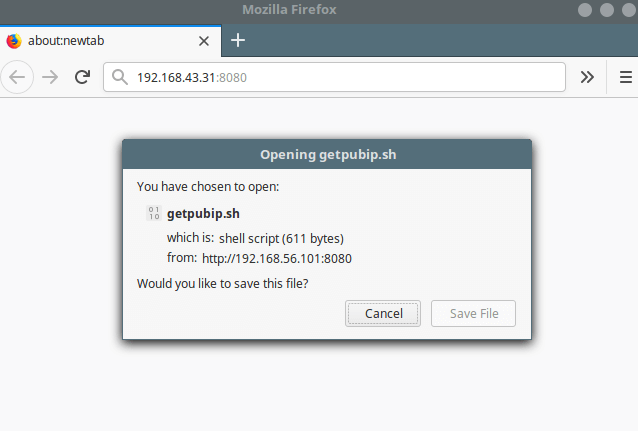 Note: In the above example, we have used wget command line downloader to obtain the shared file, and it automatically assigns the downloaded file a different name (for instance index.html). To specify a custom name, use the -O option as shown. Alternatively, you can also access the shared file from the web browser as shown (click Save File to download it). By default, woof shares the file once, and after the recipient downloads it, woof terminates. You can set the number of time woof shares a file before it shuts down, using the -c option. The following command will terminate woof after three downloads. 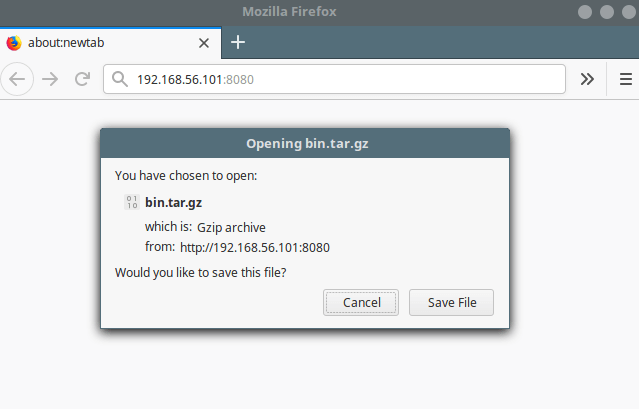 Check out the download file name, it should be a Gzip archive as shown in the following screenshot. Then your partner can use the generated URL to access the upload form from a browser as shown. After browsing and selecting the file, click the Upload button to upload files. You can verify, that the file should be uploaded to the same directory where woof was invoked. Woof is a small, simple and easy-to-use HTTP server for sharing files on a local areas network. In this article, we showed how to install and use woof in Linux. Use the feedback form below to share your thoughts about this tool or ask questions.